Sulzer Mixpac™ MS series static mixers are designed for high pressure meter mix dispensing applications. MS mixers have a bell mouth housing diameter of 16.7mm and are molded from polyacetal for strength. Suitable for a large variety of meter mix dispensing equipment. 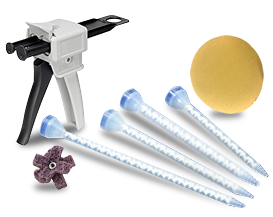 Adhesive Bonding Technologies is proud to offer the full line of Sulzer Mixpac™ MS static mixers. With the experience to point you in the right direction. 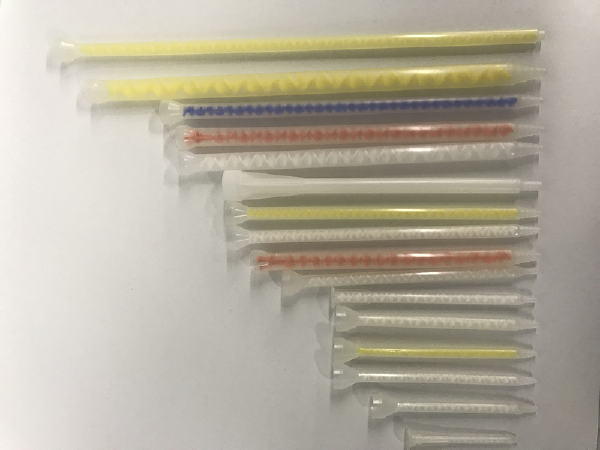 Adhesive Bonding Technologies also offers custom packing and labeling of cartridge systems and custom formulated adhesives to meet your most demanding needs, contact us today.